9:02 a.m., Oct. 8, 2010----The University of Delaware will be holding a memorial service for Barbara Curry, professor in the School of Education, on Sunday, Oct. 17, from 2-4 p.m., in the Gore Recital Hall of the Roselle Center for the Performing Arts. Curry passed away on Sunday, Sept. 26, after a courageous fight with lung cancer. Curry taught graduate courses in the master's and doctoral degree programs in educational leadership and since 2005, she was coordinator for the Ed.D. specialization in higher education. She was also an affiliated faculty member of the Department of Women's Studies. "Throughout her 20-year career as a higher education professor, she was very dedicated to her students and advisees and mentored them in very supportive and nurturing ways," said Zoubeida Dagher, professor in SOE. "She was passionate about matters of equity and fairness at all educational levels and advocated for them tirelessly in her teaching, scholarship and service." Curry's research interests included organizational change, women in leadership positions, adult learning, and gender equity. 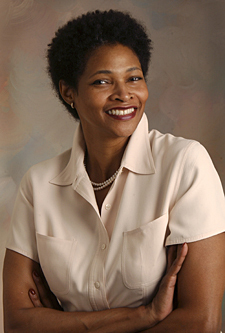 She is the author of Women in Power and a dozen scholarly articles and book chapters. In addition, she coauthored a children's book, Sweet Words So Brave: The Story of African American Literature. Before coming to the University in 1990, she worked as a clinical social worker for seven years and as an administrator at Franklin and Marshall College. Curry holds a B.A. in sociology from Franklin and Marshall College, a M.S.S.W. in social work from the University of Wisconsin-Madison and an Ed.D. in educational administration from Harvard University. Friends say she will always be remembered for her friendly personality, graciousness, kindness, loyalty, courage, inner strength, empathy, keen sense of justice, and great sense of humor. Anyone wishing to donate to the Barbara Curry Memorial Fund can send contributions to the School of Education. Checks should be made payable to the University of Delaware.